According to the Council of Textile and Fashion Industries of Australia clothing is the fastest growing household waste in Australia. It is also the cause of much pollution and drains natural resources. Astoundingly it takes 2700 litres of water to produce the cotton for one t-shirt. Far from being a throw-away statistic, this number is significant. There are 663 Million people worldwide who don’t have access to safe drinkable water – that’s approximately 1 in 10. When it comes to fashion and helping the environment, simply reducing your consumption of clothing is the best possible action you can take. On average women wear only 20 to 30 percent of their wardrobe so most of us could make-do with considerable less by making better choices. Imagine how organized your wardrobe would be with less stuff too! Upcycling clothing is a fantastic way of extending the life of the textiles you have. T-shirts are made from jersey fabric, a type of woven material that doesn’t fray when cut and often curls after being stretched out depending on what the fabric is made from. 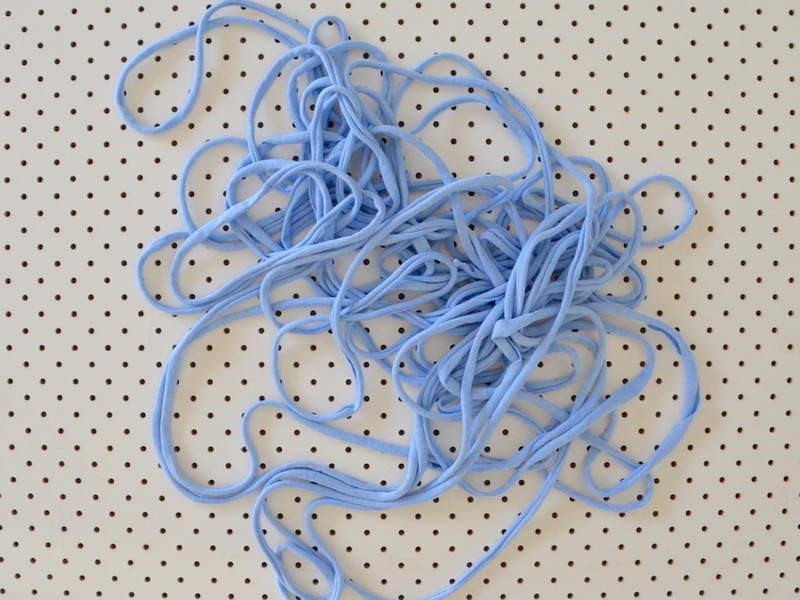 This makes it perfect for making into yarn and creating new items that will last. Step 1. 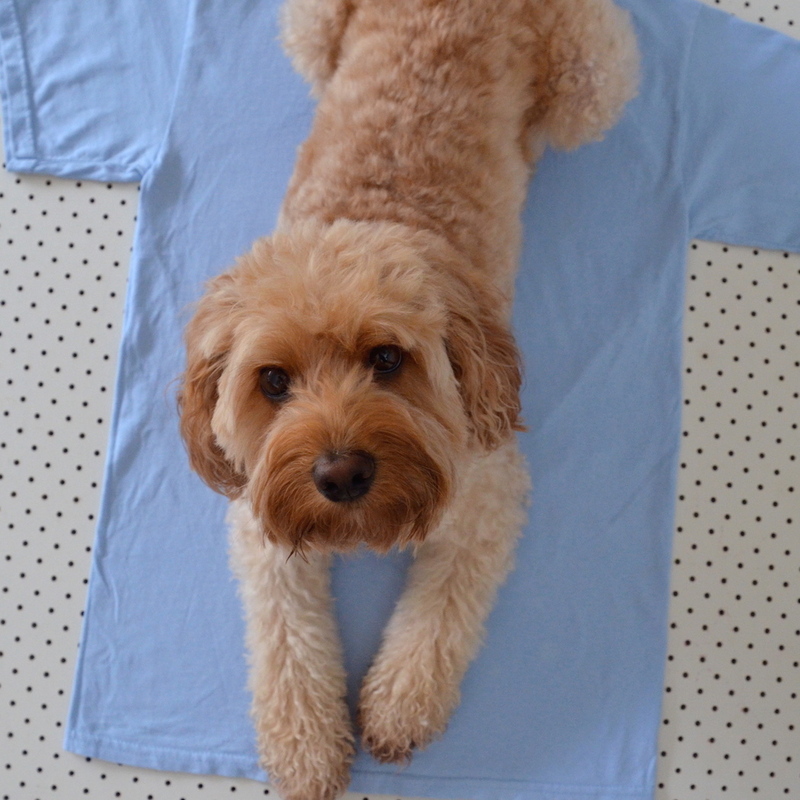 Find a new spot for your fluffy friend to rest whilst they oversee your activities. Step 2. 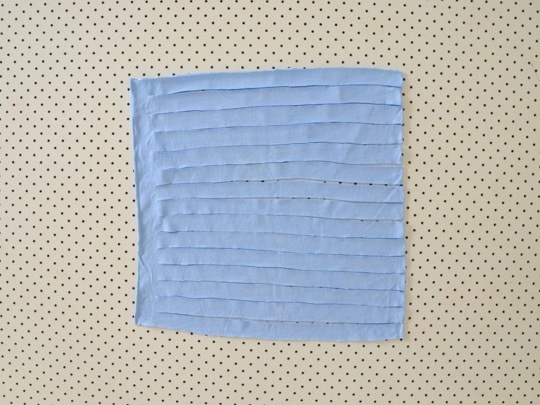 Use a pair of scissors to cut straight across under the arm-holes as well snipping off the bottom seam. Step 3. For the moment, put aside the top and bottom sections leaving the middle section. These can be used to make other items. 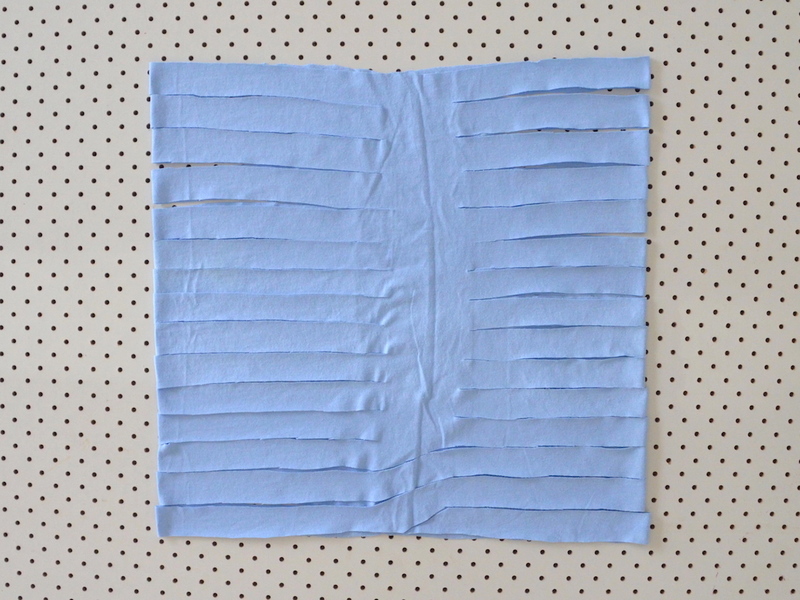 Then use your scissors to slice parallel cuts into your fabric, leaving around 2-3cm at the end of each cut. These should be approximately 3cm apart. Step 4. 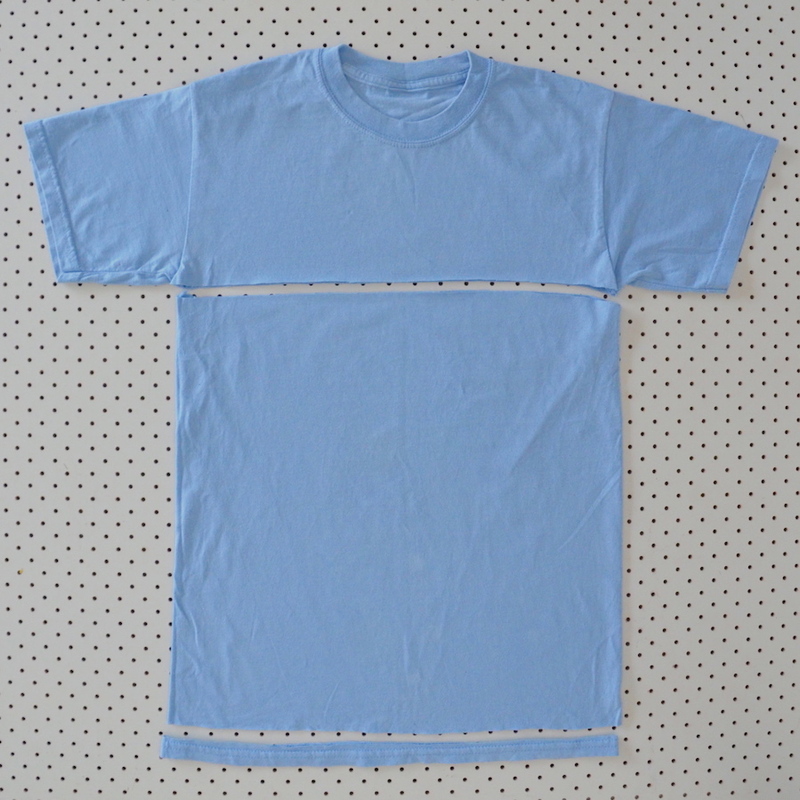 Put your arms through the body of the t-shirt then lay it back down so that the area that hasn’t been cut through is in the centre. 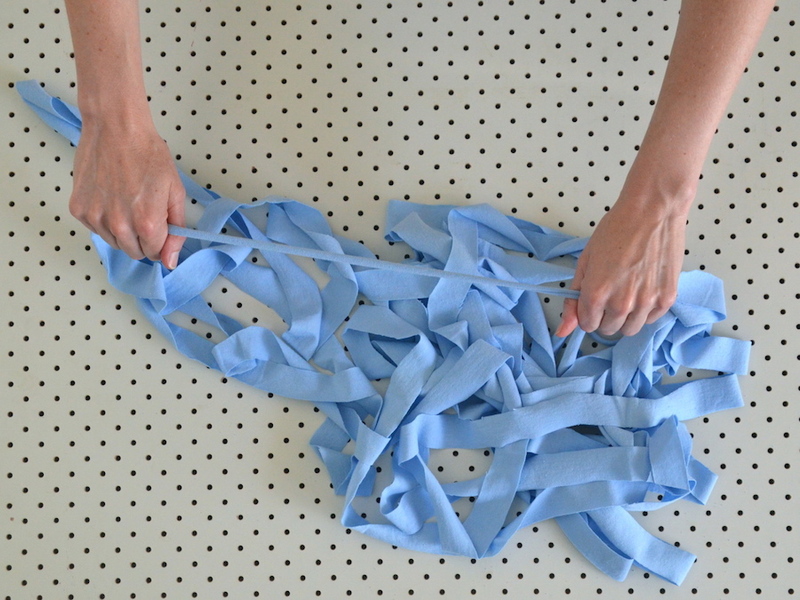 Start by cutting off the end length closest to you at a 45 degree angle to create the beginning of the yarn. Then follow this strip around and cut so that it follows in a continuous piece. *Note: Once you have got the hang of the technique, I find it easier to put the my arm through the centre and have the yarn fall off as I go but this is a clearer way to explain it while you are learning. Step 5. Use your hands to stretch the yarn bit by bit so that it lengthens and curls up. This is how your yarn should look at this point. Step 6. 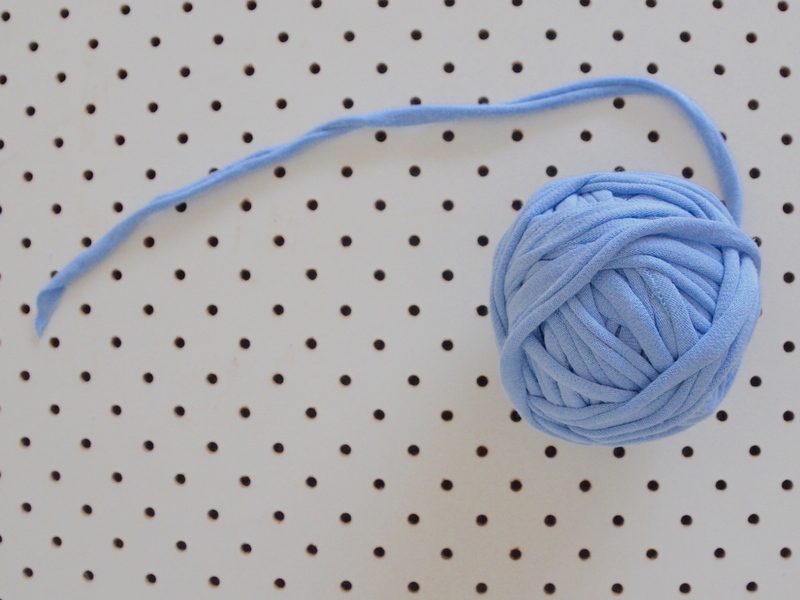 Roll your yarn into a ball and plan your first T-shirt yarn project!